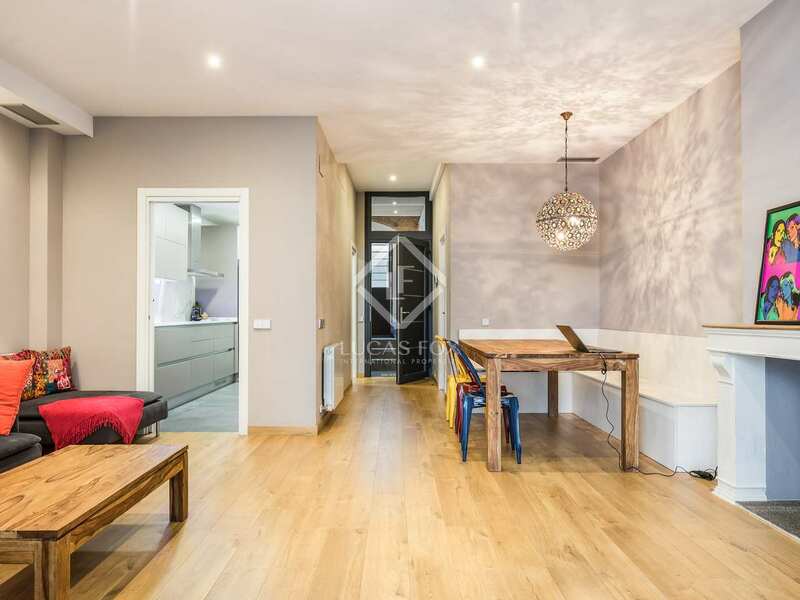 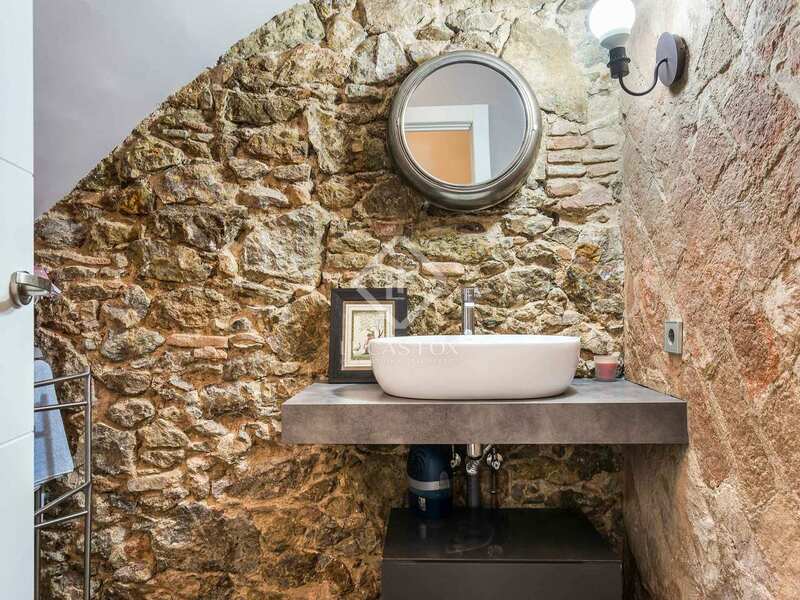 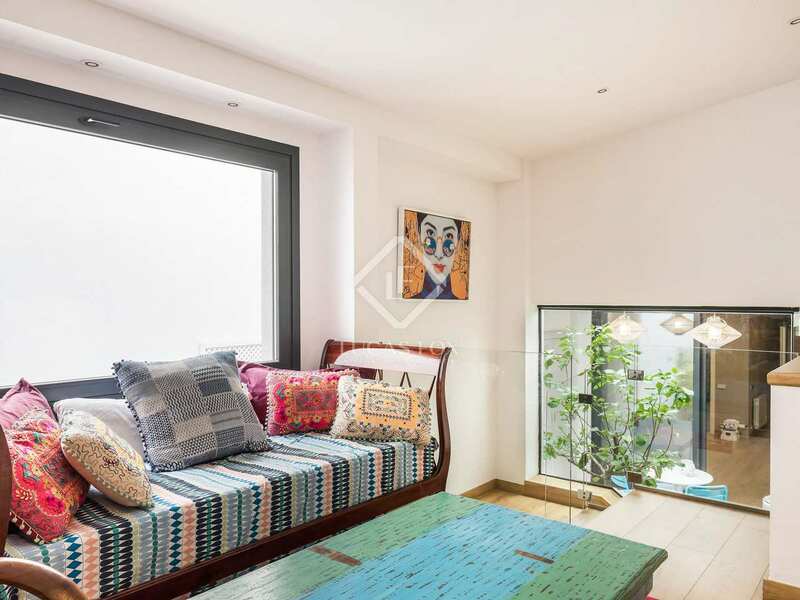 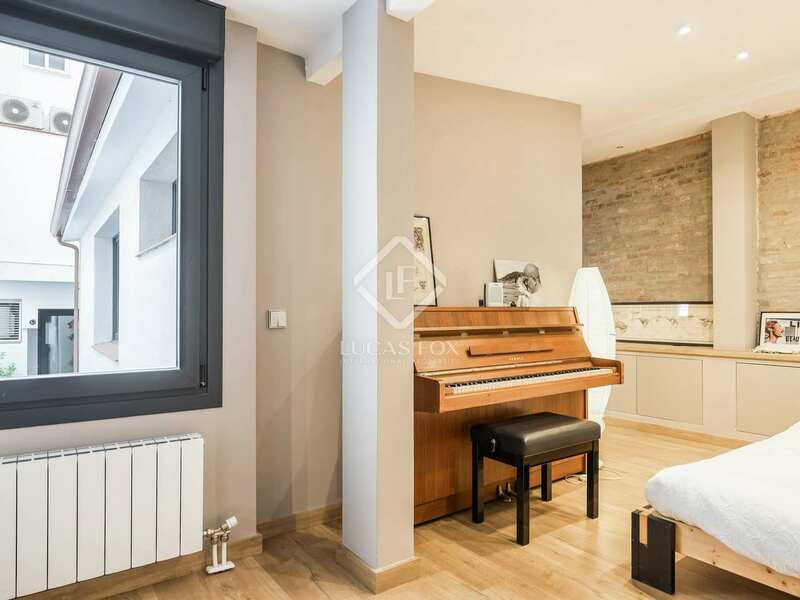 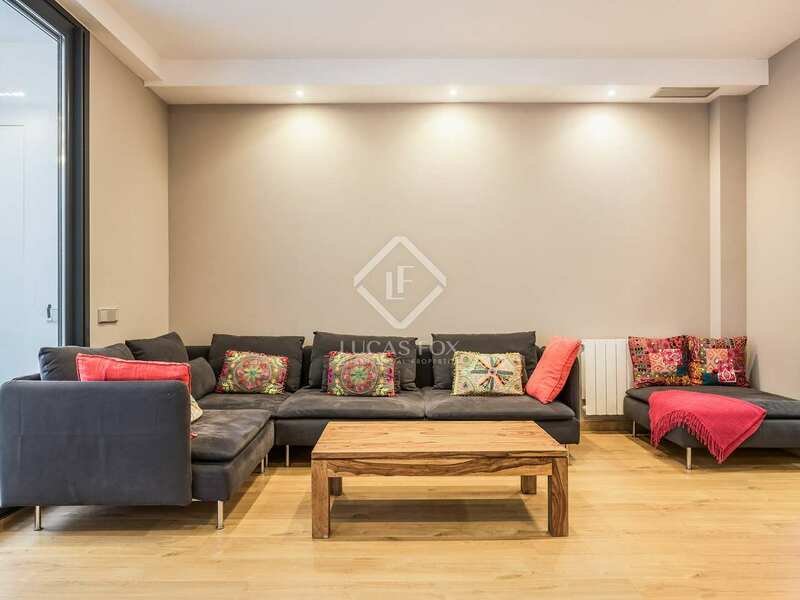 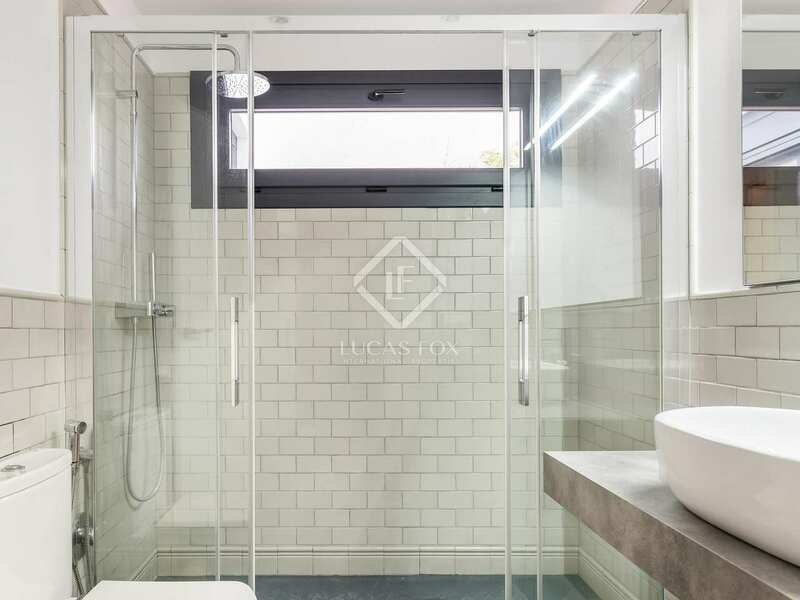 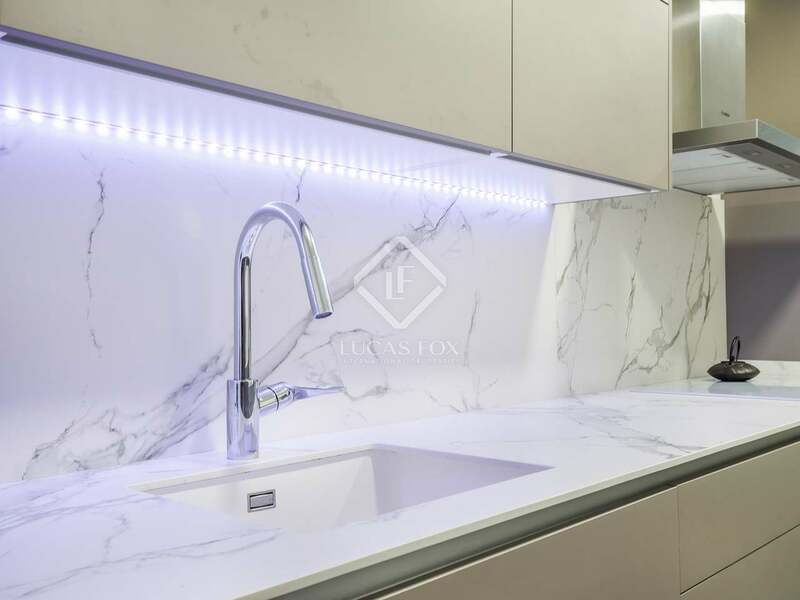 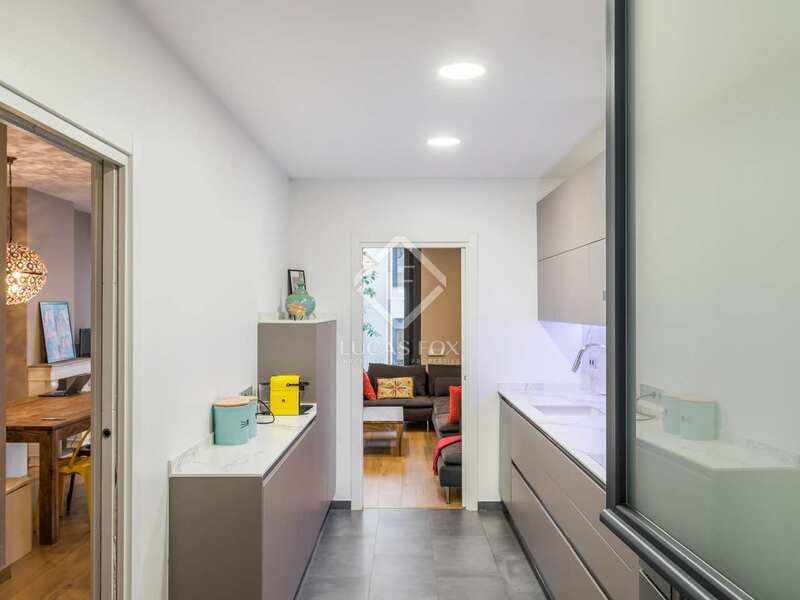 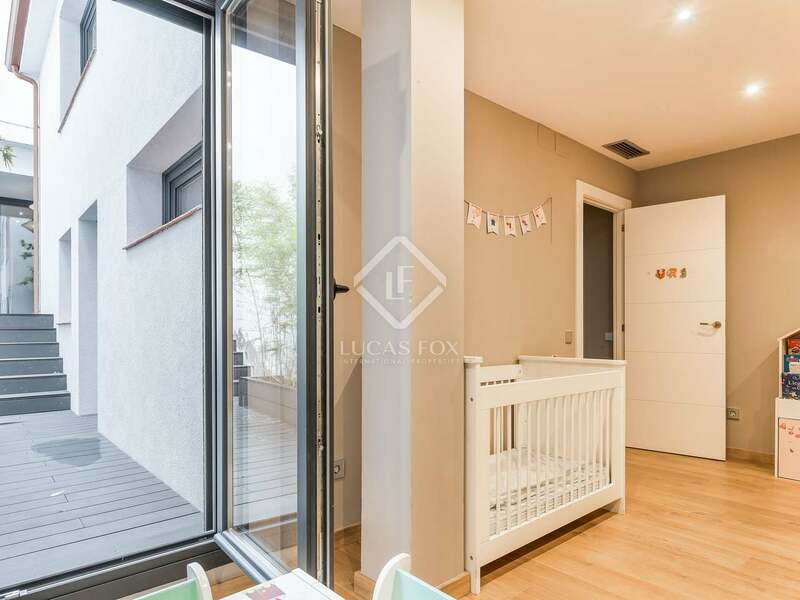 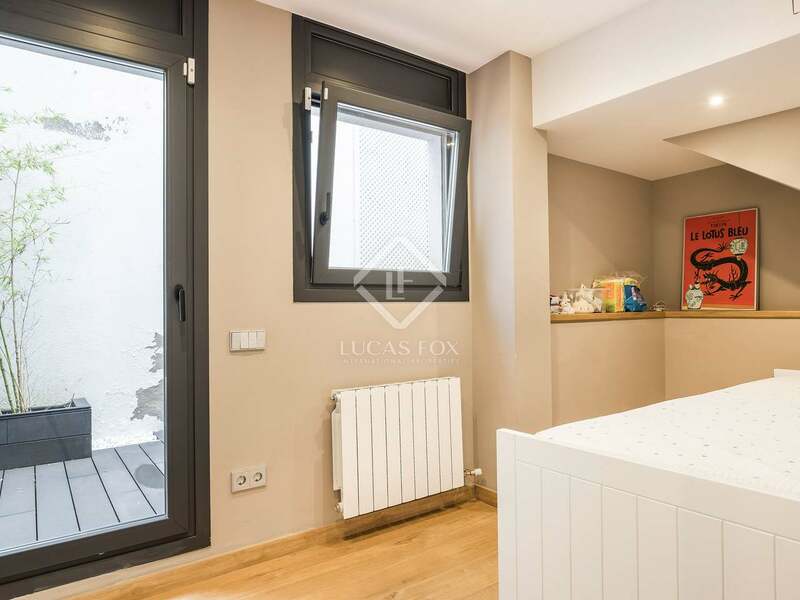 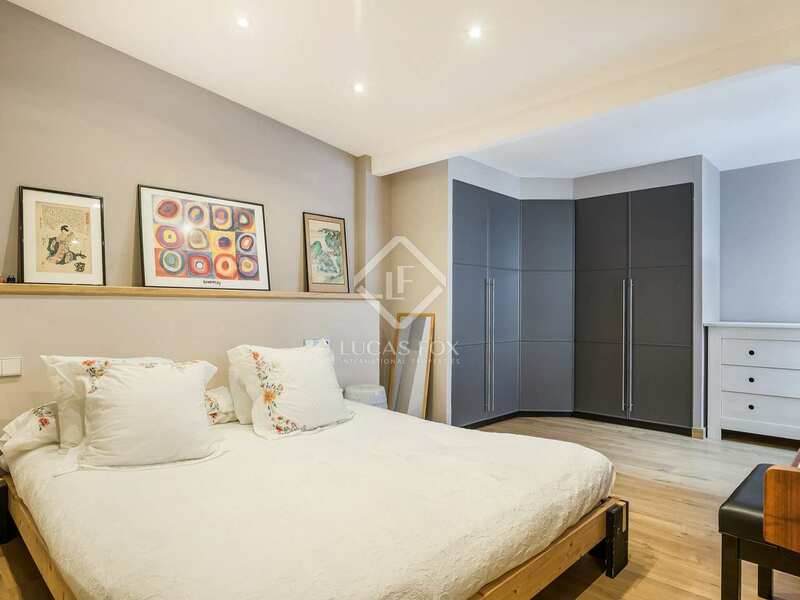 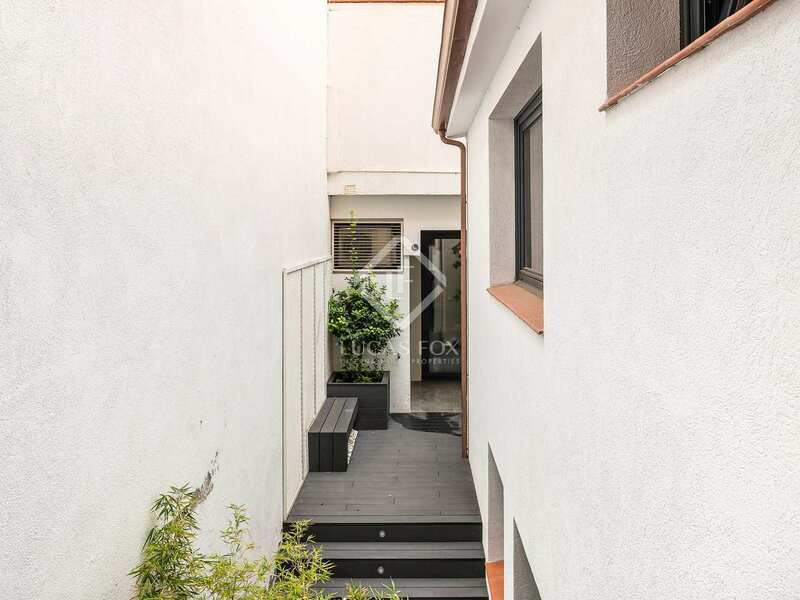 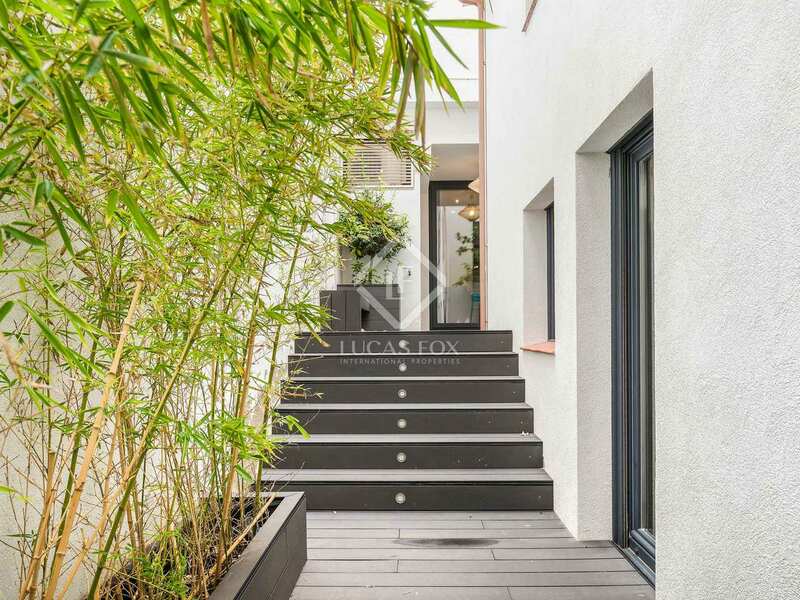 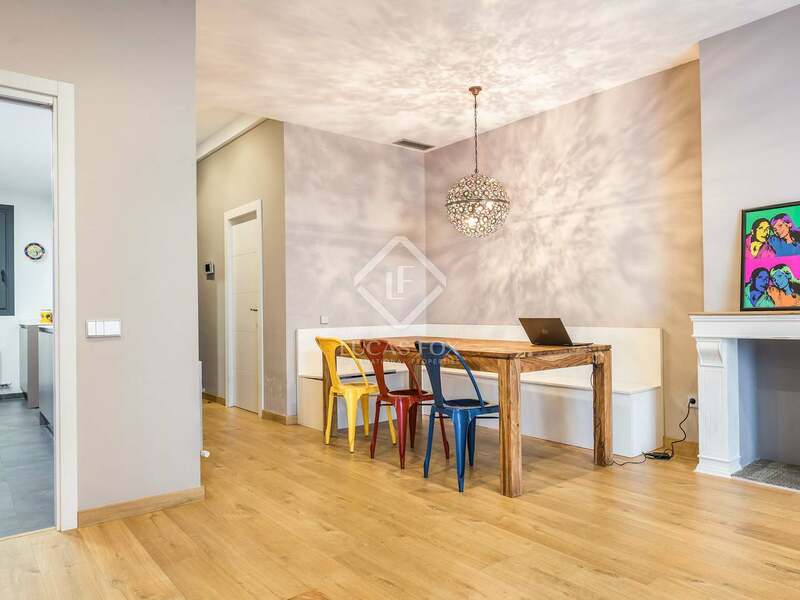 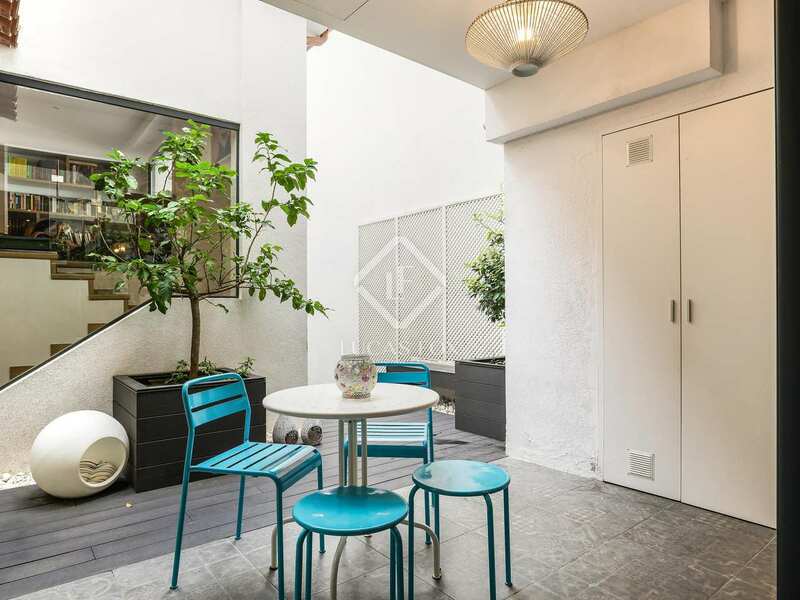 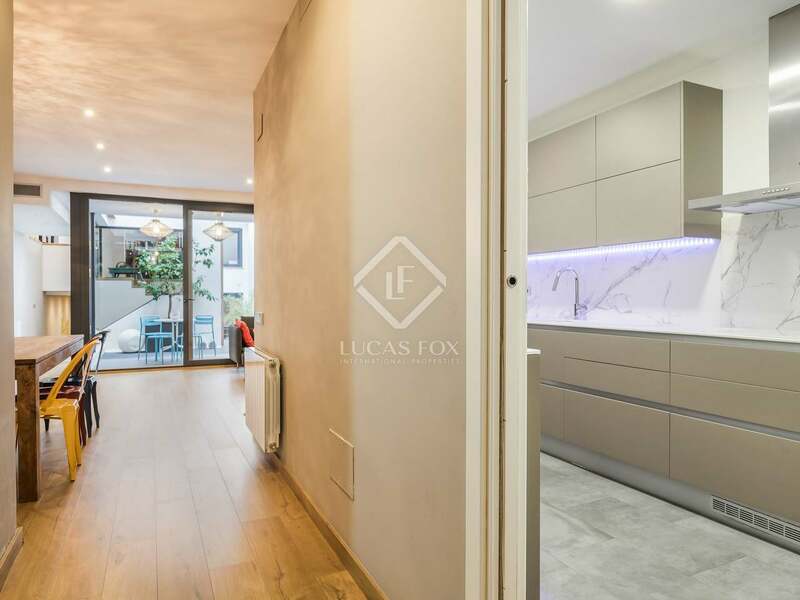 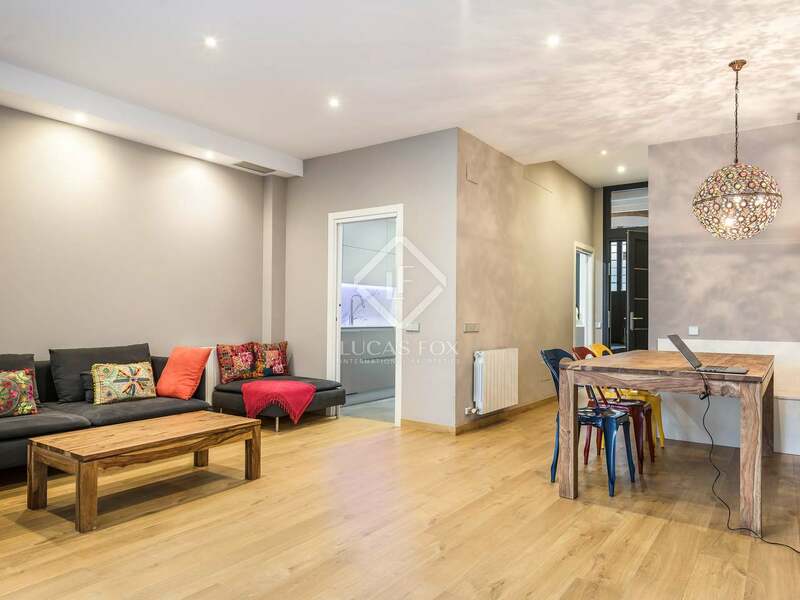 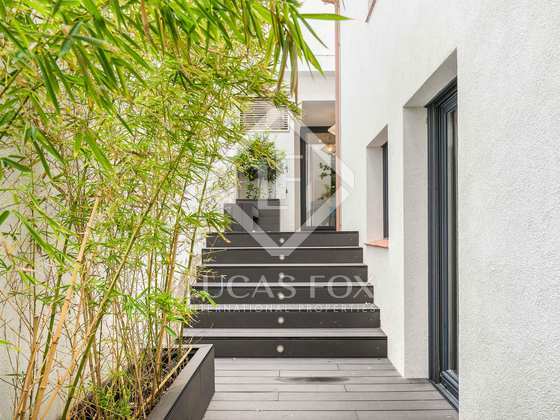 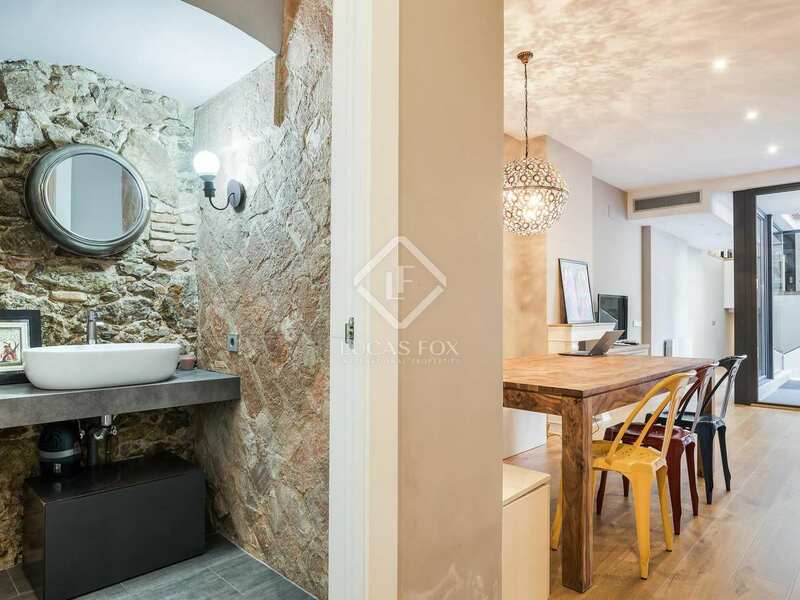 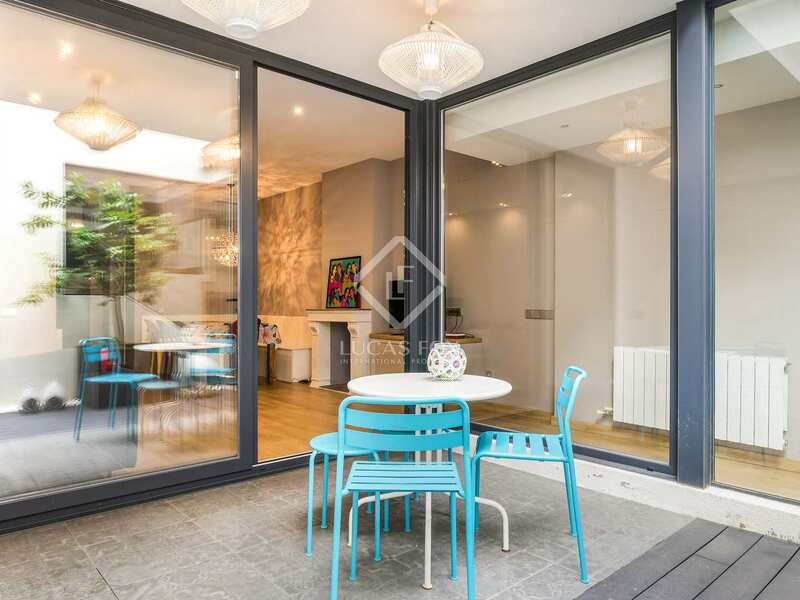 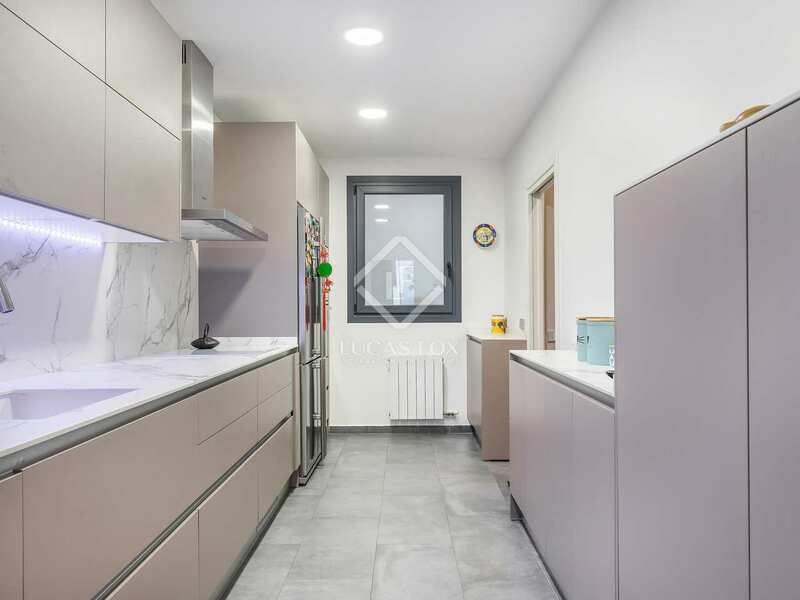 This modern townhouse is located on a semi-pedestrian street next to the Sagrada Familia, which allows you to enjoy the tranquility of a traditional neighbourhood with the services of the city centre located nearby. 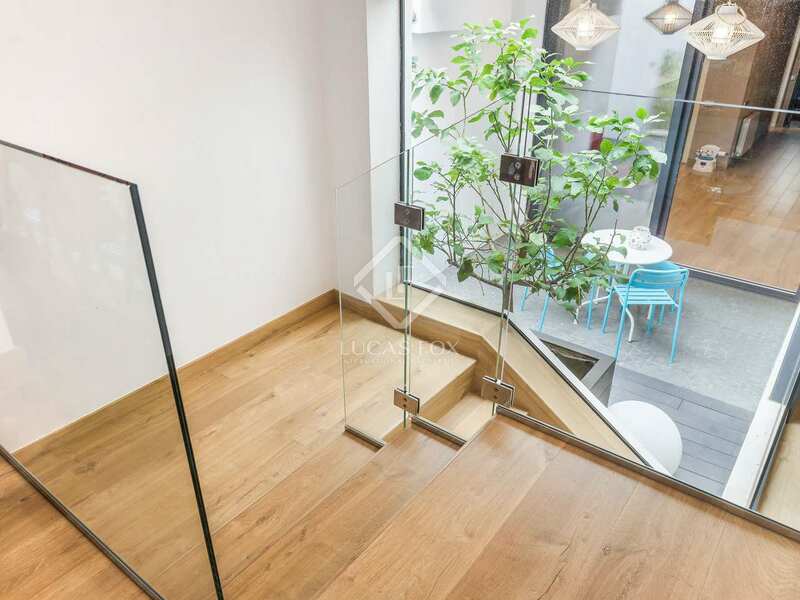 Upon entering the property, we find an entrance hall where you can store your bicycle, ski, kite surfing, paddle surfing equipment, etc. 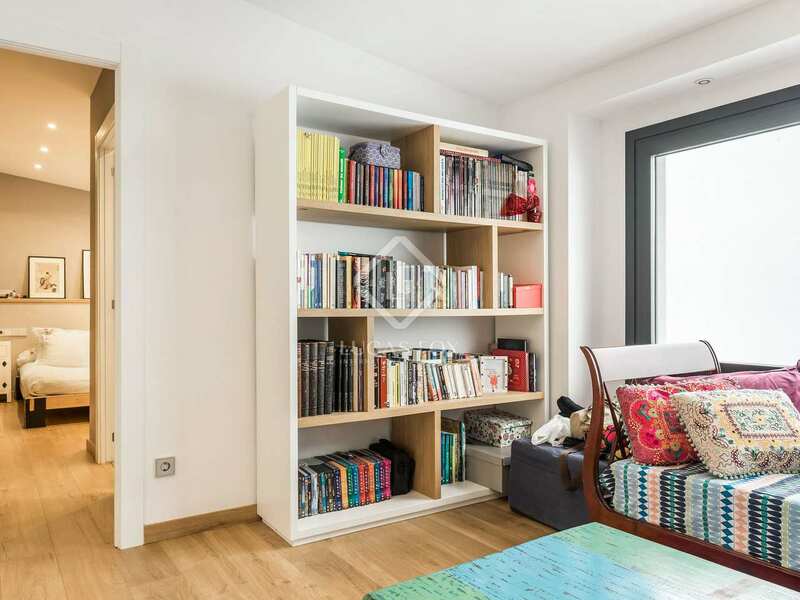 and coats or jackets. 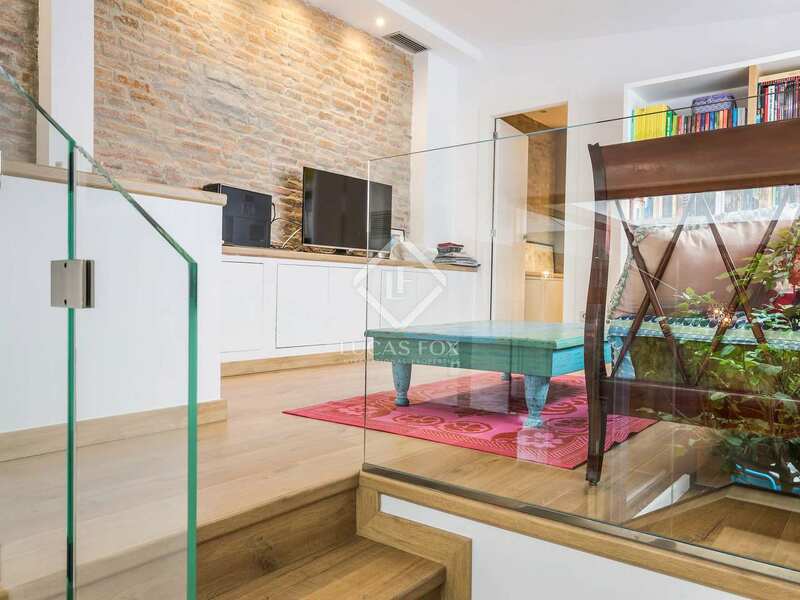 It is also a perfect space to use as a pantry. 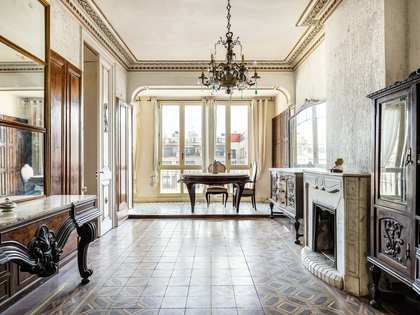 The property offers 2 main rooms. 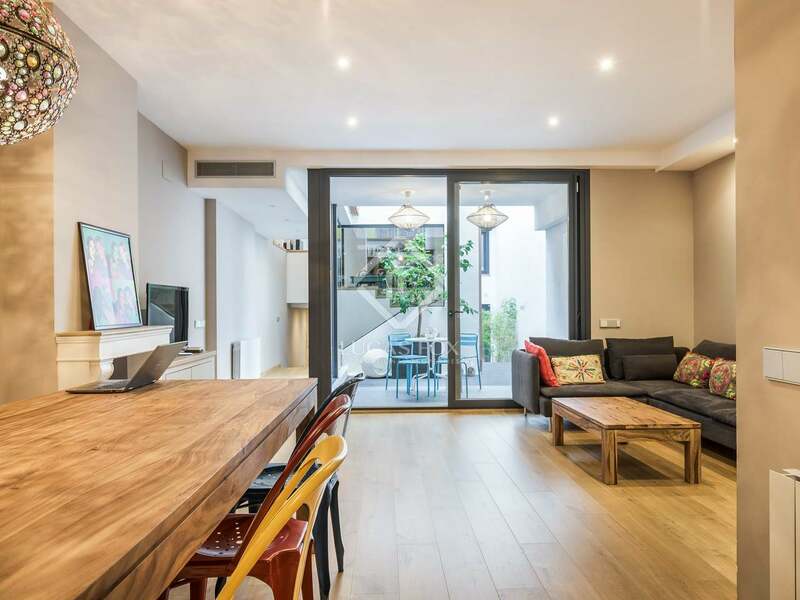 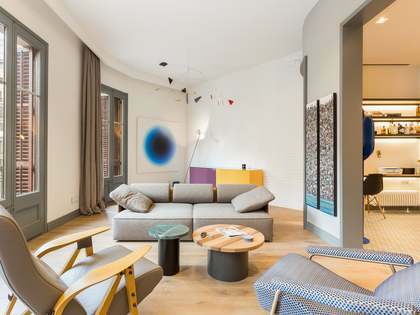 One of them is a spacious living room with a large dining table and that has access to a quiet and private terrace, without vis a vis; a great space to enjoy dinners with friends, the balmy nights of Barcelona in the best company. 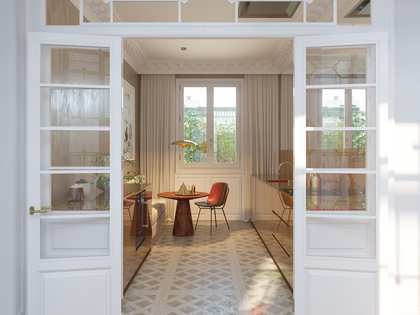 The other room, which is very bright, can be used as a library, games room, office, dressing room or additional bedroom. 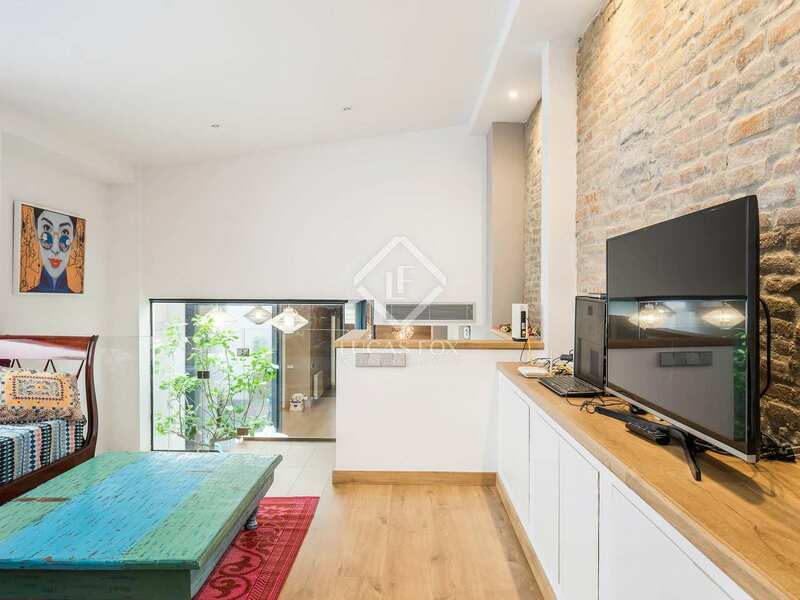 From the large living room, we access the equipped kitchen which is functional and modern, with an American fridge and plenty of storage space. 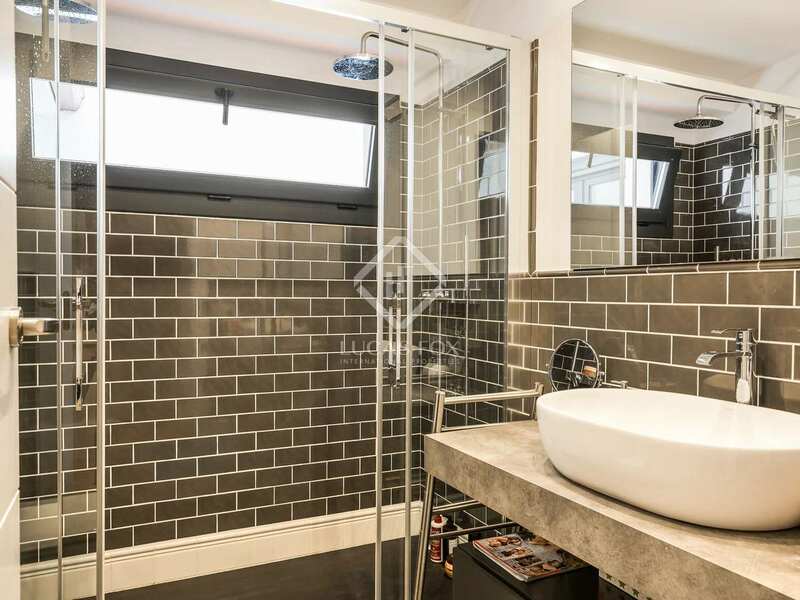 The property has 2 bathrooms with windows and natural light and a toilet. 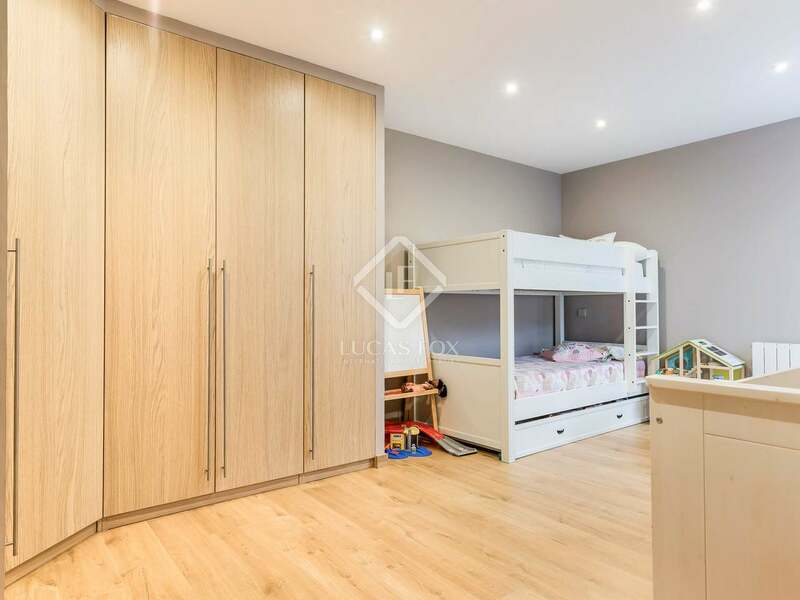 The sleeping area consists of 3 bedrooms, including 2 double bedrooms with double built-in wardrobe and 1 single bedroom. 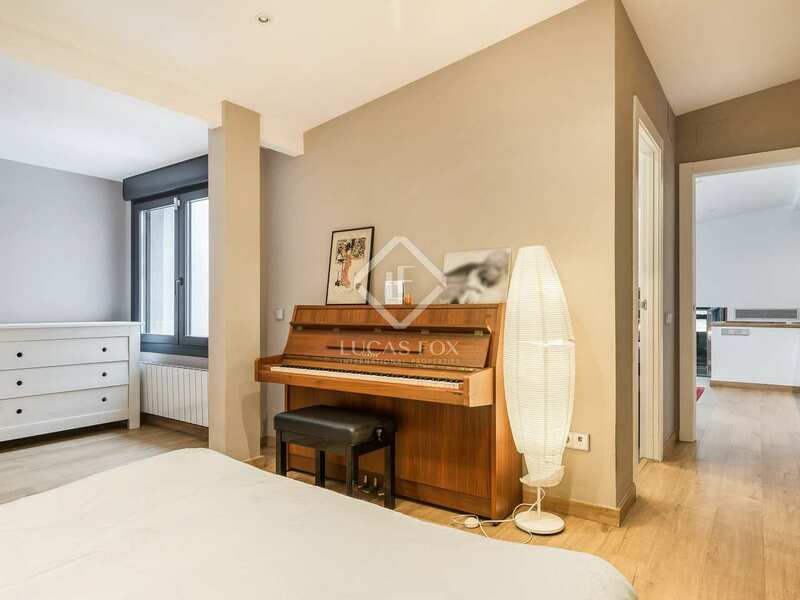 All these rooms enjoy large windows that provide lots of natural light. 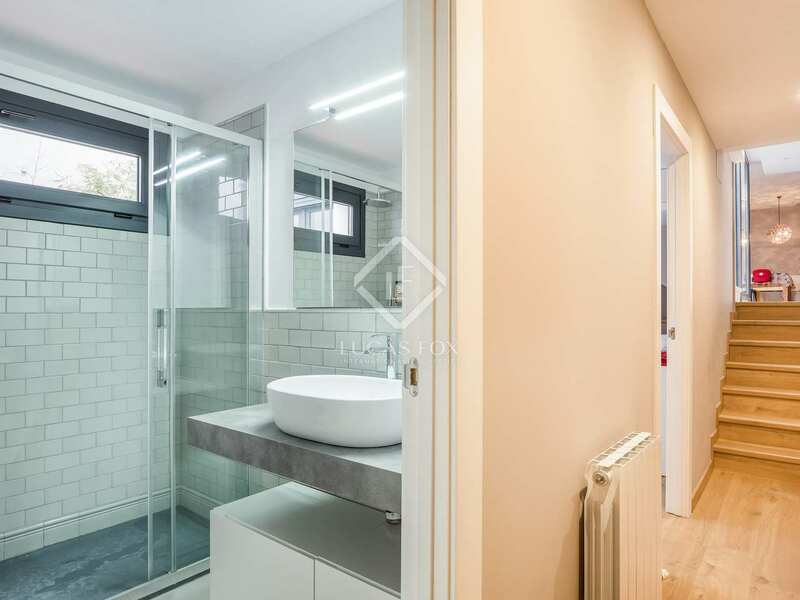 The property also has a laundry room with washing machine, dryer, laundry and storage area and a mezzanine to store suitcases, for example. 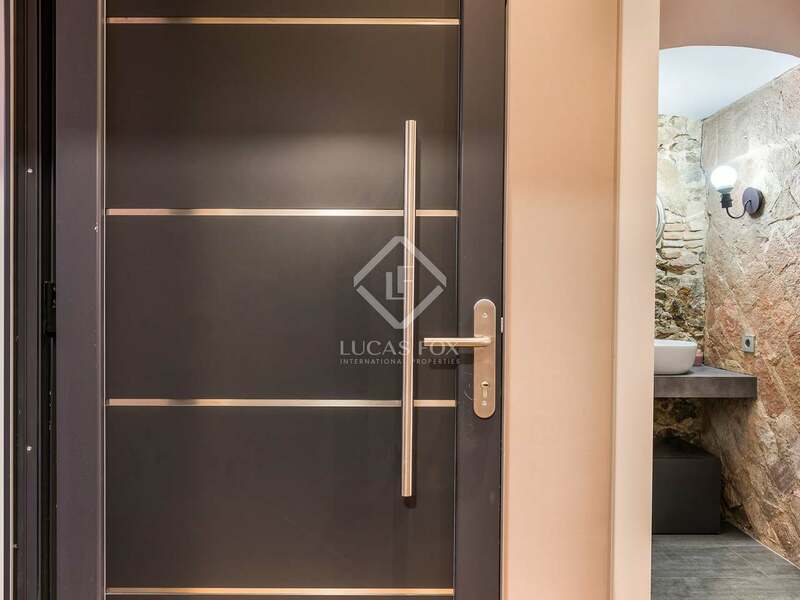 Most of the rooms have wooden floors and there is a security system installed throughout. 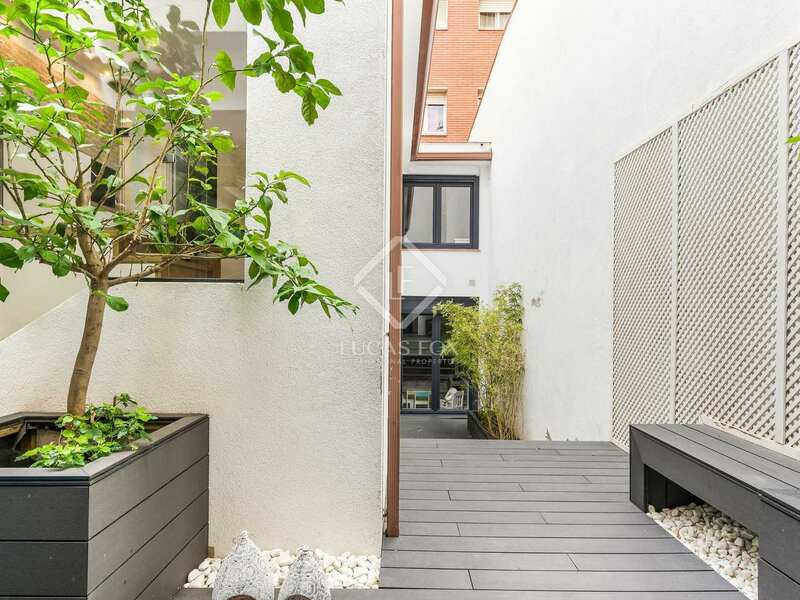 Contact us to visit this spacious townhouse with a terrace next to Sagrada Familia. 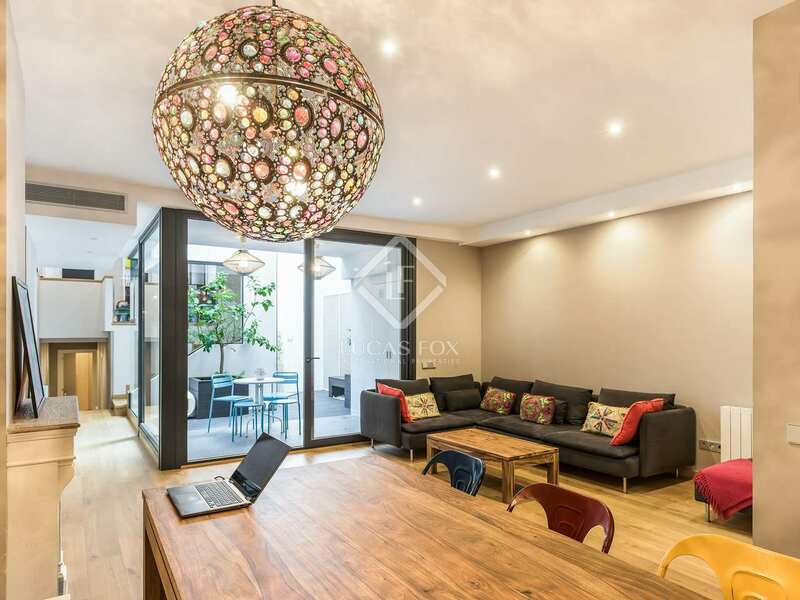 This magnificent townhouse is located in the neighbourhood of Sagrada Familia, on a semi-pedestrian street that offers great tranquility. 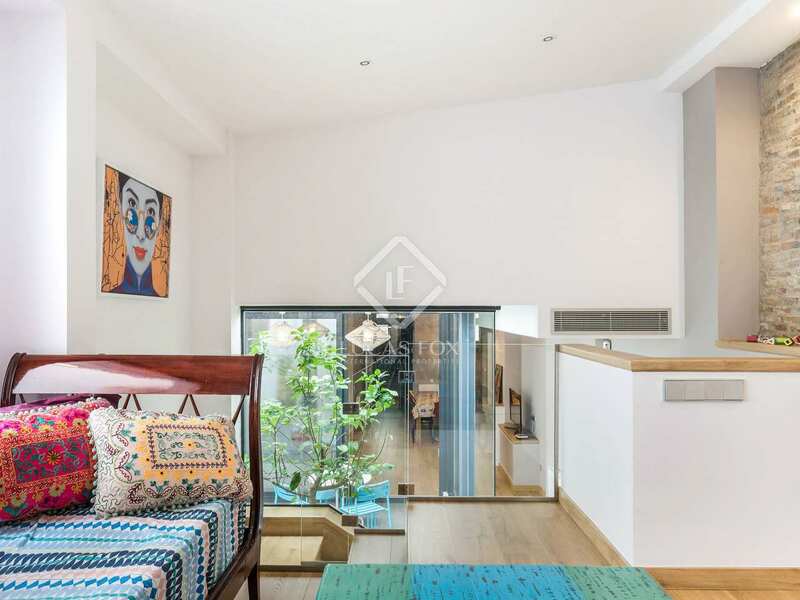 This area is perfect for someone looking for the peace and authenticity of an old neighbourhood that offers all kinds of services without compromising on proximity to the city centre. 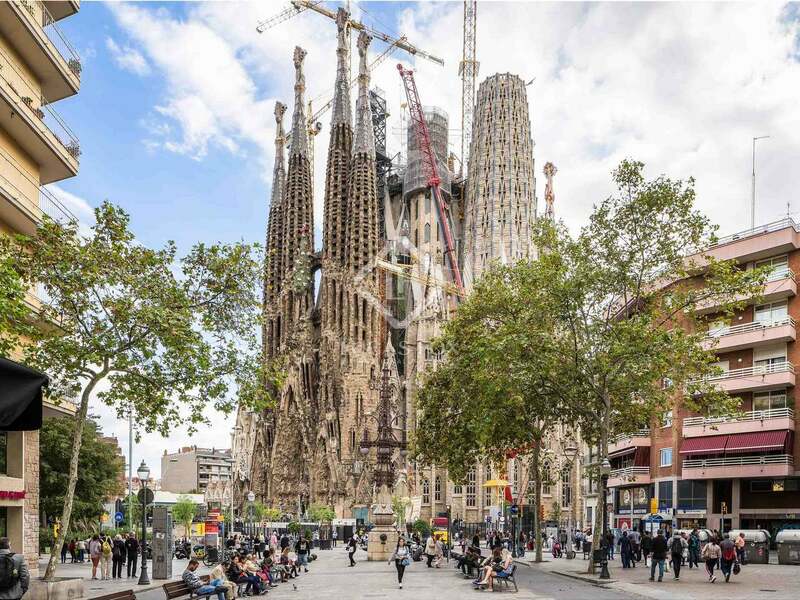 In addition, it is very well connected by public transport, so you can easily move around Barcelona.